Do your underarms, hands, feet, groin, or face sweat excessively? Does it affect your daily life in terms of self-confidence, relationships or career? Laser Aesthetics clinic in Burlington serving Waterdown offers a non-surgical, virtually painless solution to significantly reduce sweating. All injections are performed by our qualified medical staff under supervision of Dr. McDonald, our supervising medical director. Click here to request your complimentary consultation at our Burlington treatment clinic serving Waterdown and start treating your Hyperhidrosis. To reduce excessive sweating (Hyperhidrosis), tiny injections are made to the affected area. The procedure is virtually painless and does not require any anesthetic. 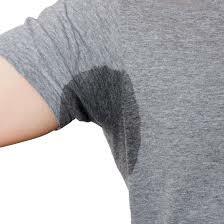 Hyperhidrosis is most commonly treated through injections to the underarms, palms and/or feet. Waterdown clients, please book a complimentary consultation and the medical staff at Laser Aesthetics in Burlington will fully explain expected treatment options and results. Effectiveness and duration vary from person to person a complimentary consultation will ensure you have a good understanding. What Costs Can I Expect? The costs vary depending on the area treated. Good news is that many health insurance plans cover Hyperhidrosis and we would be happy to help you determine if you are indeed covered under medical insurance. The results truly are amazing and have made a huge impact on the lives of our clients. Laser Aesthetics is one of the top injectors in Burlington and all of Ontario: You are always in good hands here. An injection takes a short time to be administered and is done by our fully trained and experienced medical staff. All procedures are supervised by Dr. McDonald, our supervising medical director. Click here to request your complimentary consultation and start treating your Hyperhidrosis. Waterdown clients, Call us at 1-888-332-9930 OR request a consultation online to get more information about Hyperhidrosis/Excessive Sweating treatment in Burlington and get started with one of our Registered Nurses. After waiting over 12 months to see a dermatologist that did nothing, I broke down in tears when I realised laser aesthetics could help. My skin is now clear and so healthy looking and did not cost a fortune either. The staff are so friendly and helpful and truly understand the emotions involved regarding ones skin. Today I went to the Burlington location. Stefani greeted me with a smile and welcome. She processed my payment & made certain I collected the special offers. Ann was excellent. She assessed what I needed, implemented the care with competence & excellence. Ann made sure I received special offers. I was referred to Sue at Laser Aesthetics by a friend. I am so glad I was! Sue is a professional nurse and very knowledgeable. Her clinic is clean and comfortable. I am very happy with their services. I have seen both Nurses Sue and Dani for my Botox and Filler. I come back every time and refer all my friends. They are extremely professional as well as kind. After having bad experiences with other clinics around this area i go to Laser Aesthetics for all my cosmetic procedures. Stay on top of our new specials, pricing and exciting products! Laser Aesthetics is a specialized Cosmetic Medical Centre in Burlington, Ontario. Laser Aesthetics offers Botox®/Xeomin, Juvederm®, BELKYRA™, LATISSE©, Glo Minerals, Vivier Skin, Acne Treatments, Laser Hair Removal, Skin Treatments, Services for Men and Other Treatments. Laser Aesthetics serves Hamilton, Burlington, Oakville and surrounding areas. JUVÉDERM® is a registered trademark of Allergan Holdings France SAS. BELKYRA™ is a trademark of Kythera Biopharmaceuticals, Inc., an Allergan affiliate, used under license by Actavis Specialty Pharmaceuticals Co.
© Copyright 2006-2019 Laser Aesthetics. All rights reserved. Stay on top of our new specials, pricing and exciting products.